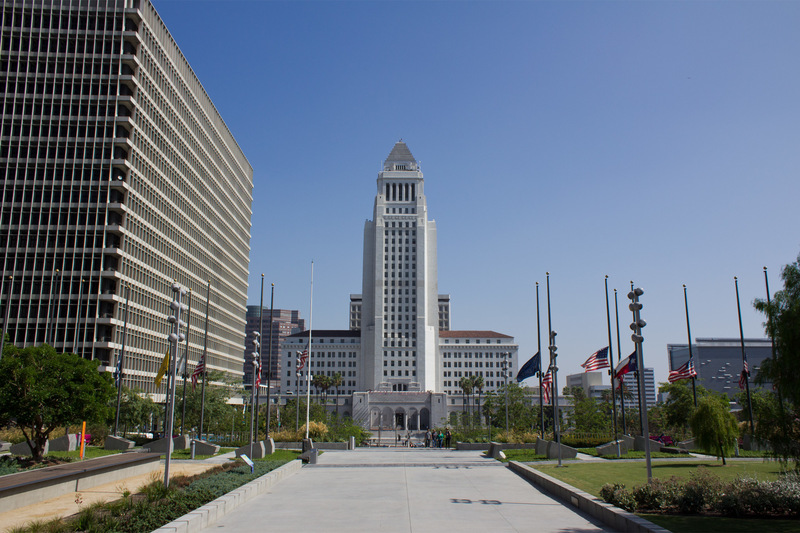 Have an hour to kill near City Hall? 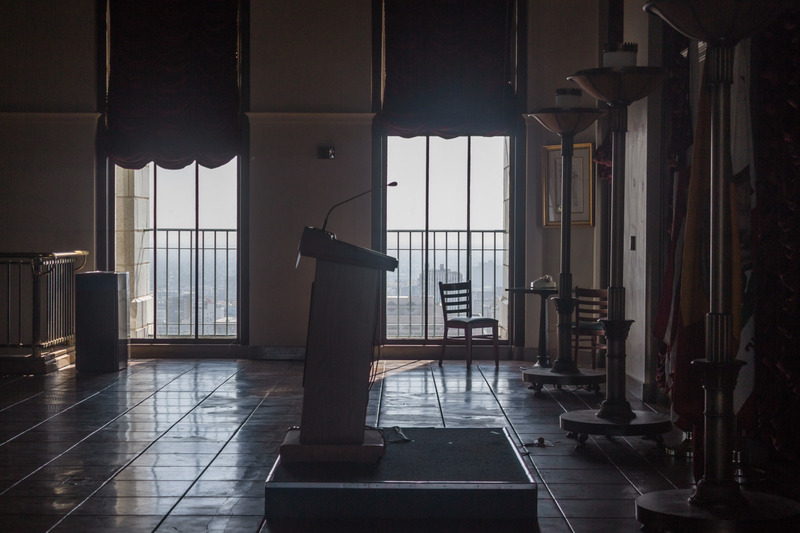 Check out Downtown's best-kept scenic skyline secret, sans touristy crowds. 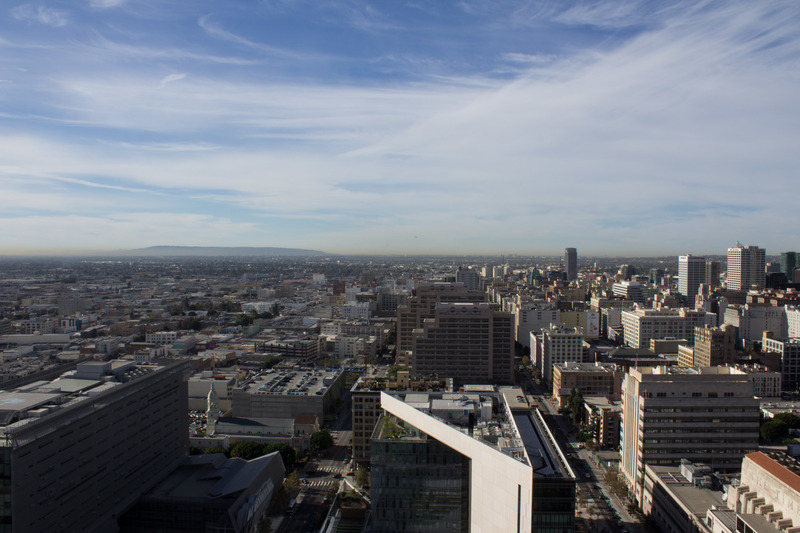 Views of the humble but far-reaching LA cityscape usually come at a price to your wallet or feet. Not so at City Hall. 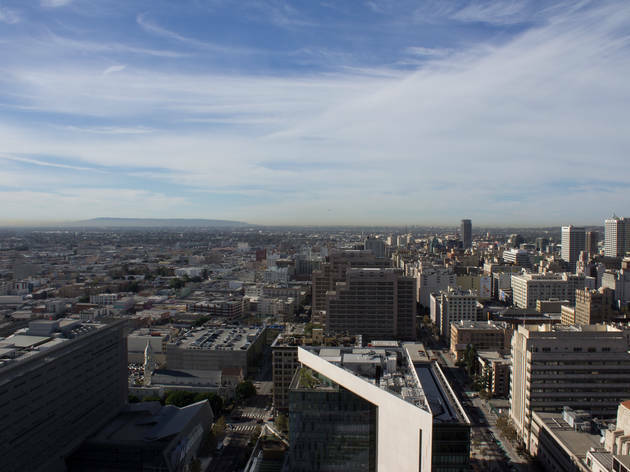 The white concrete tower's free perch above Downtown offers a privileged look without any obstructions (i.e. 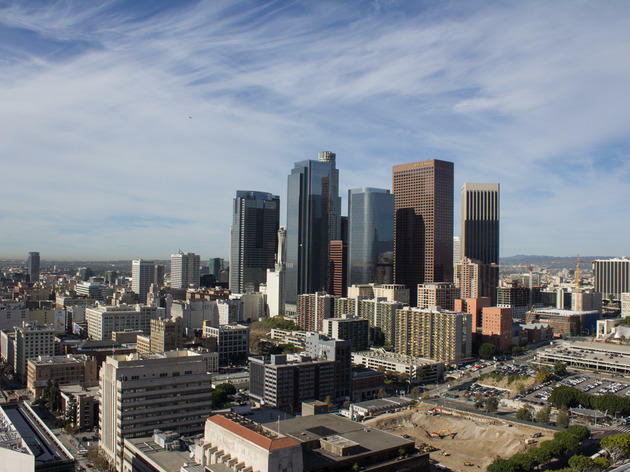 other buildings or tourists' heads that you'll encounter at other Los Angeles attractions). 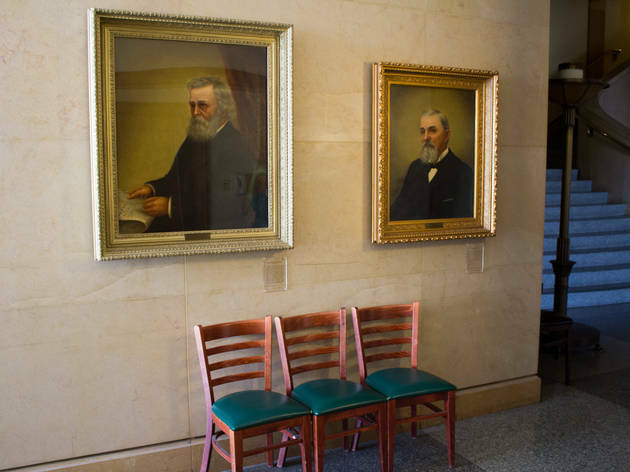 Whether you're begrudgingly stopping at a government building or just rolling by on a clear day and looking for things to do—public hours are weekdays 8am-5pm—you owe yourself a visit. 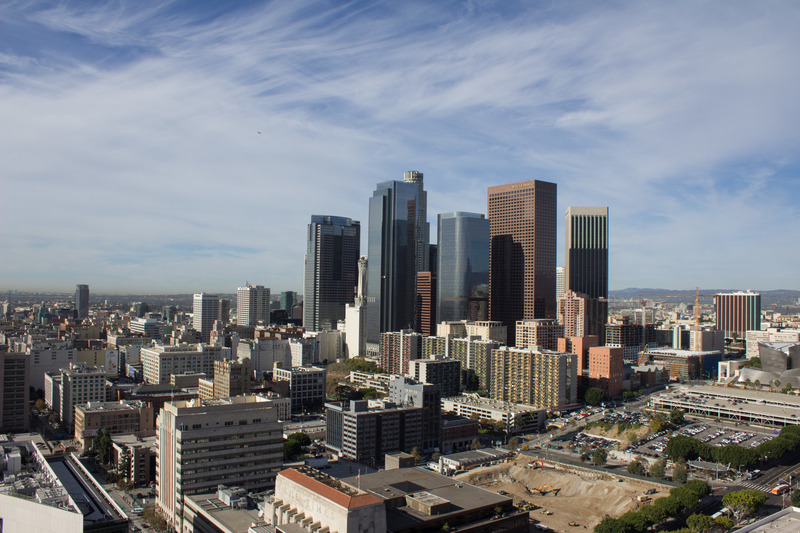 For that moment when: You need a reminder that LA isn't just one big suburb. Getting there: Street parking is sparse and surface lots are overpriced (albeit plentiful), so consider walking if you're already nearby. 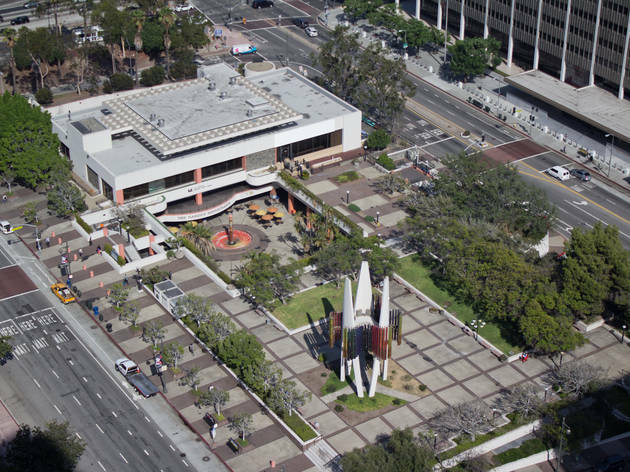 Otherwise, take advantage of the adjacent Civic Center/Grand Park stop on the Metro Red Line, or the slightly farther Gold Line stops at Union Station and Little Tokyo. 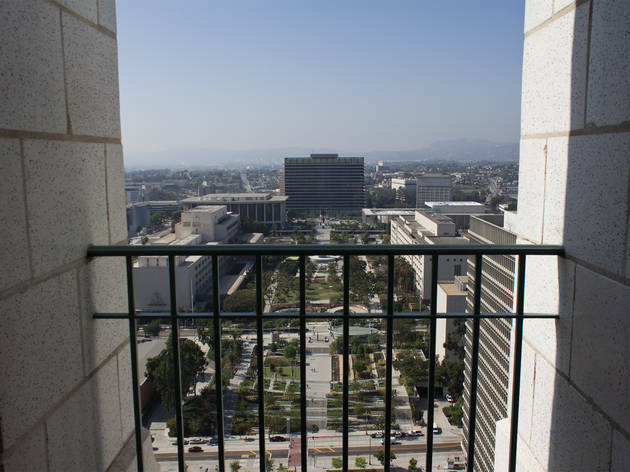 Getting up there can be tricky, so click through this slide show for an easy-to-follow guide to LA’s best—and cheapest—urban observation deck. 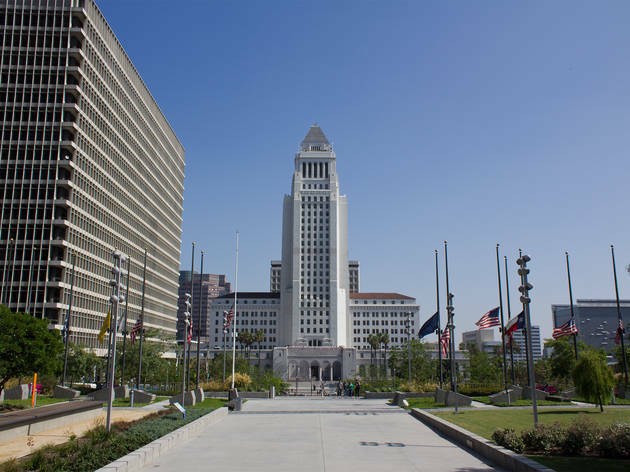 Walk into City Hall’s public entrance on Main Street, through the metal detectors and up to the desk for a visitor sticker. Take the express elevators to the 22nd floor, where you’ll get off and take another set of elevators to the 26th. 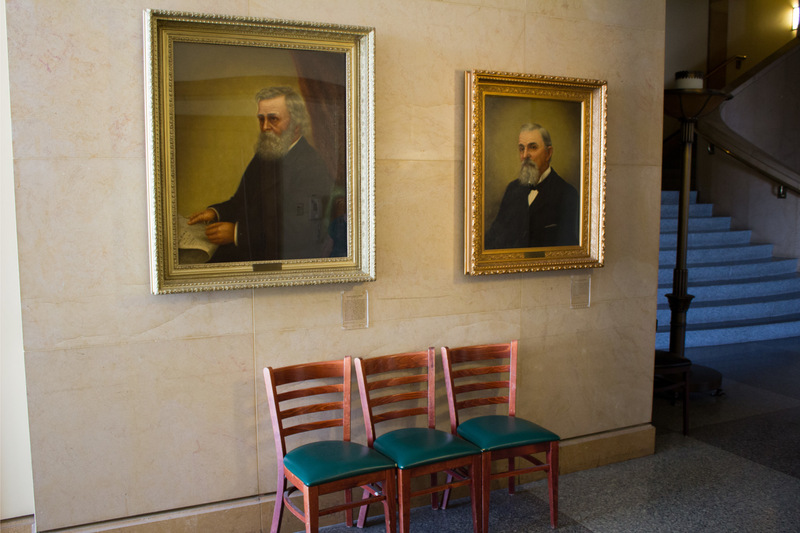 Take the time to check out portraits of LA’s former, fashionably bearded mayors before heading up one last staircase. 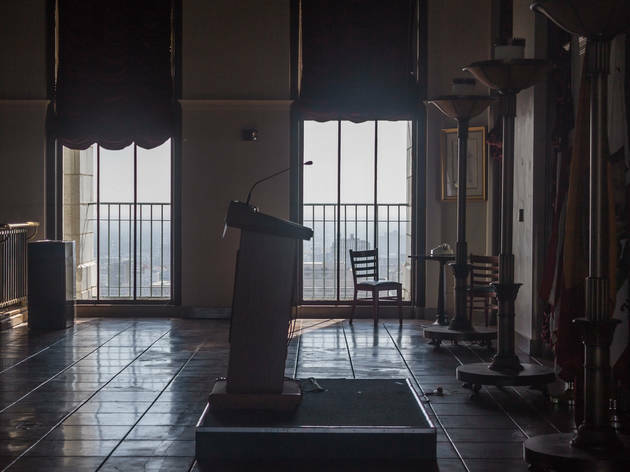 You'll find yourself inside the lavish Mayor Tom Bradley Room, which feels like some sort of old superhero command post—in fact, the building's exterior doubled as the home of the Daily Planet in a '50s Superman TV series. Once outside, you can see straight out to Palos Verdes and the ocean; you might even catch a climpse of Catalina Island if the marine layer/haze/fog (we won't say the s-word) cooperates. 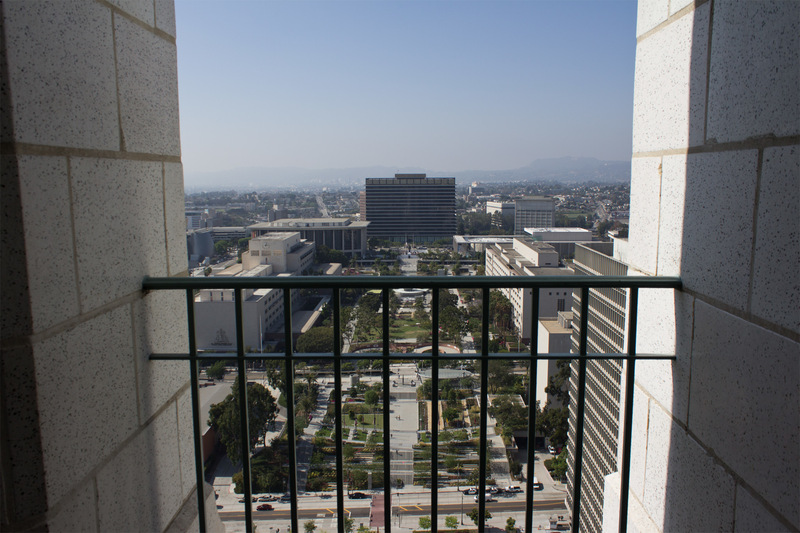 When City Hall opened in 1928, you would've seen beautiful Victorian houses—the Bunker Hill neighborhood—from this spot. Only a few decades ago, you'd be staring at slums. 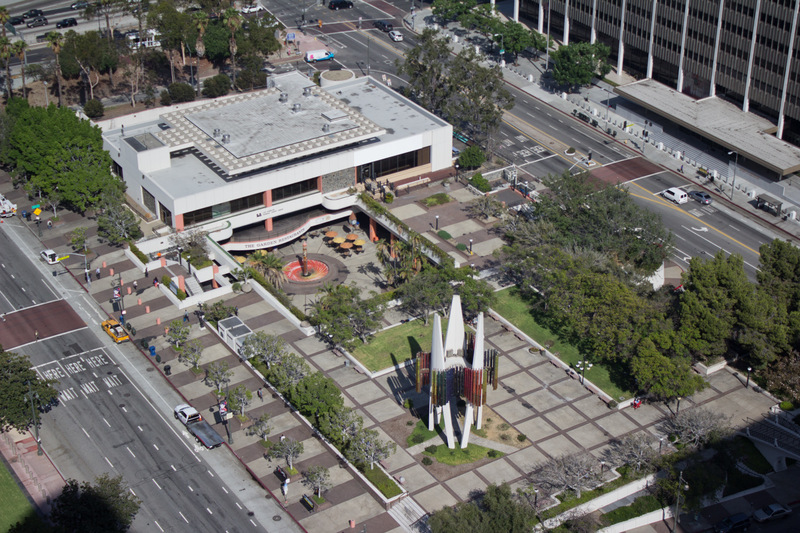 Today, you're looking at one of the most radically reinvented areas in LA. 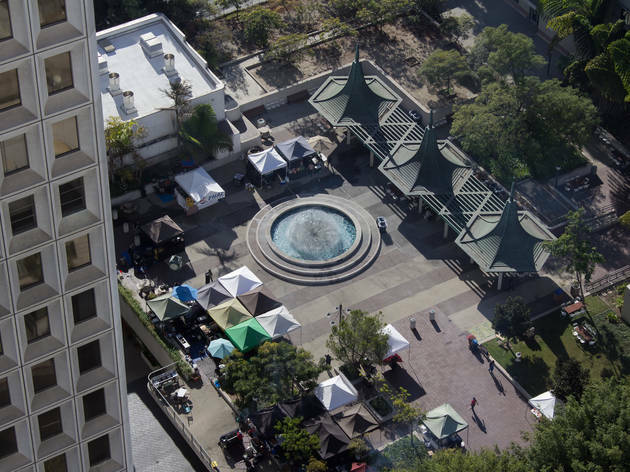 The remote views from canyon and mountain trails in LA are stunning, but here you'll discover parts of the city you never even knew existed, like the Eleanor Chambers Memorial Fountain at Los Angeles Mall. 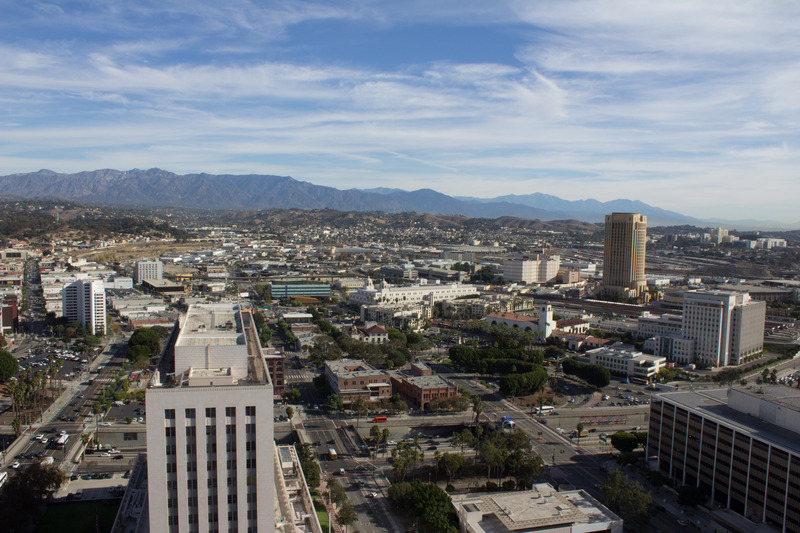 From the northeast side you'll be able to spot Union Station in front of the San Gabriel Mountains. 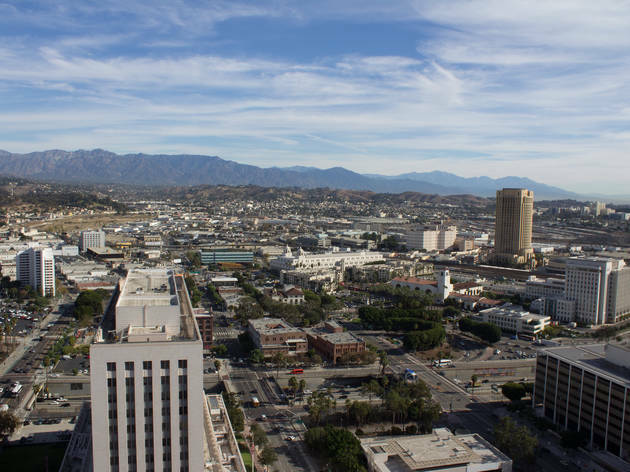 Yup, LA has mountains and—sit down for this one—they're often snow-capped during wet winters. 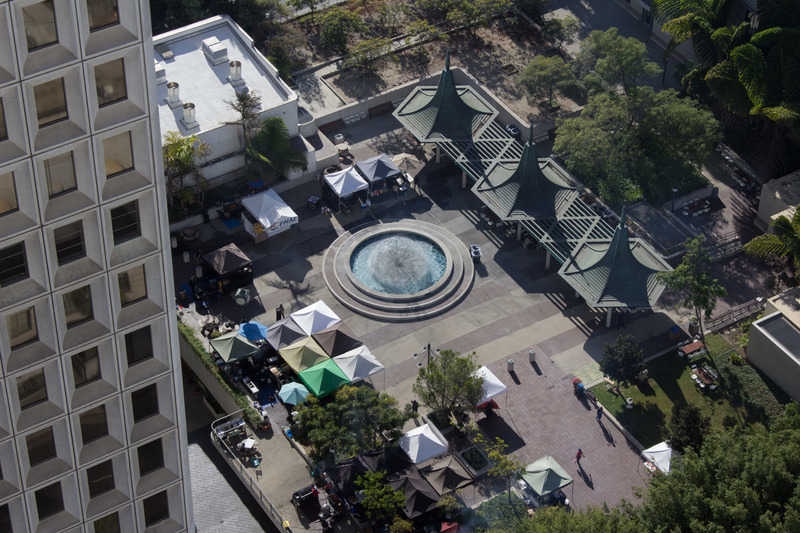 Don't forget to look down at the Triforium, perhaps the only LA landmark more maligned than the Hollywood Sign. 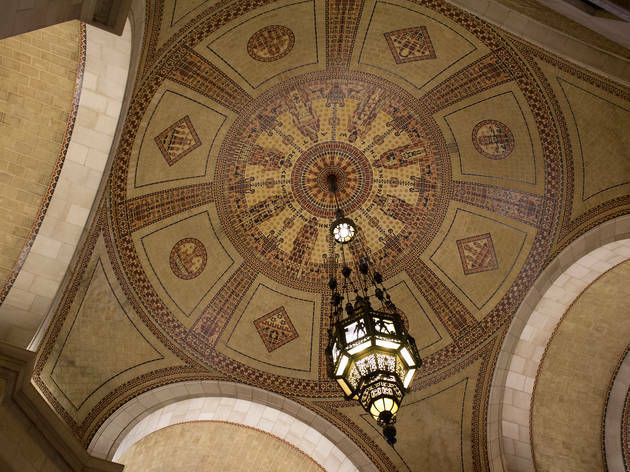 On the way back down, stop off at the third floor to see the ornately tiled rotunda. 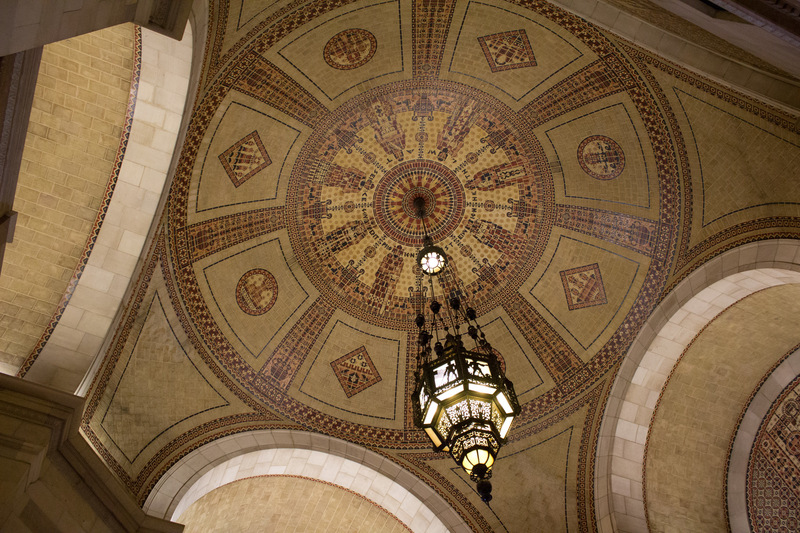 Its marble columns, metal chandeliers and long, arched hallways are enough of a reason to visit City Hall. 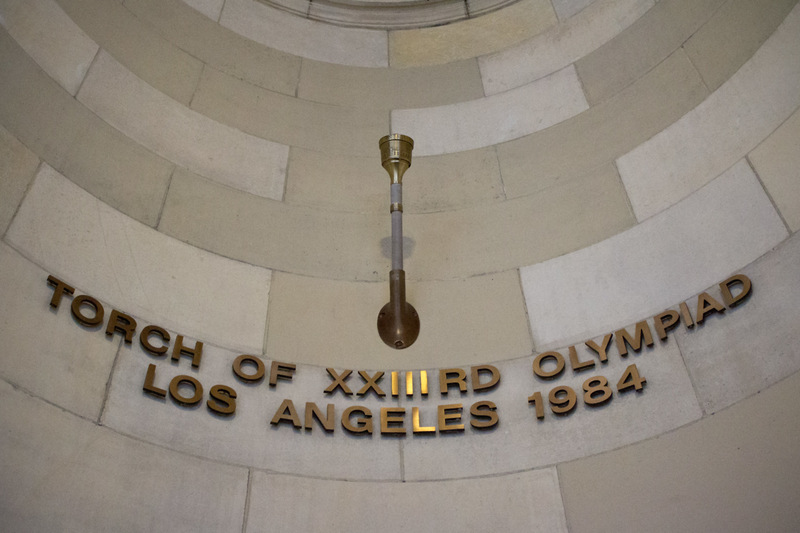 You can head out the Spring Street side and explore the courtyard, but make sure to step into the alcove just to the left of the exit to see the 1984 Olympic torch. 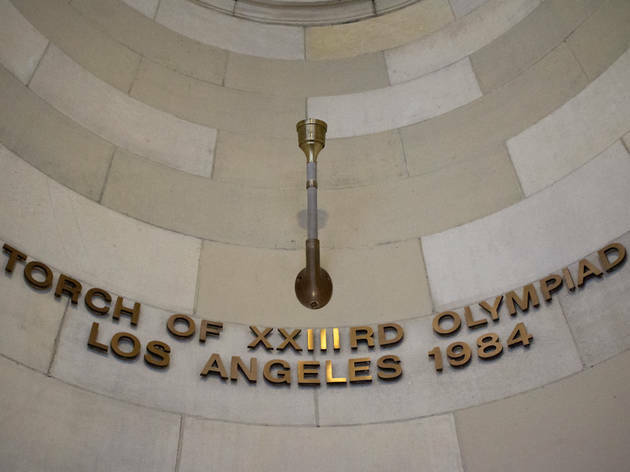 Just imagine yourself parading to that John Williams fanfare with this brassy baton of glory in hand—but seriously, don't actually do it, that would be bad.